At Sil’s Auto Centre, we strive everyday to implement environmentally friendly practices and procedures to reduce our impact on the environment and help make Mississagua a cleaner place to live. After all, we live here too! Ontario Tire Stewardship (OTS) is an Industry Funding Organization (IFO) incorporated under Ontario’s Waste Diversion Act, to implement and operate the Used Tires Program. This province-wide scrap tire solution for On-road and Off-road tires supplied into the Ontario market, will divert scrap tires away from burning and landfilling to 3Rs (Reduce, Reuse, Recycle) processing and uses. Launched on September 1, 2009, the program will eliminate the “disposal fee” that consumers currently pay to get rid of their old tires – whether or not they are buying new ones — making it easy and free for Ontarians to get their old tires recycled by dropping them off at registered Collectors across Ontario. Stewardship Ontario was established in 2002 under the Waste Diversion Act 2002 to develop, implement and operate a waste diversion program for paper materials and packaging wastes and, more recently, municipal hazardous and special wastes. The goal of the program is to promote the reduction, reuse and recycling of those materials managed under our programs. 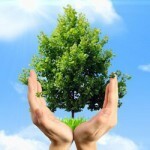 Safety-Kleen enables companies to fulfill their green initiatives. Safety-Kleen pushes beyond recycled thinking to break new ground and create an environment that’s good for business and the planet. In short, they make green work.